"Nothing NEW Under the Sun!" Is there any area of truth more confused today…? There is probably no area of Biblical truth that is more confused and contradictory than teaching concerning the End Times. Does this degree of confusion exist because God simply doesn’t care… whether or not we understand these truths and therefore isn’t making it clear? This is simply unlikely! Surely the answer has something to do with the first thing Yeshua (Jesus) said to His disciples when they asked Him to explain the future to them. He said, “Take heed that no man deceive you,” Matthew 24:4. Yeshua (Jesus) knew that a tremendous “spirit of error” would bring deception to His people especially in this area. Where does this error come from…? In 1 John 4:6 we find that there is a demonic “spirit of error.” Why has Satan attempted to confuse the truth about the Last Days more than any other area of truth…? Is it possible that he seeks to confuse the prophetic message precisely because of its huge importance …rather than because of its minor importance? The answer to why the spirit of error has worked feverishly in the area is found in Ephesians 2:20, where we are told that the Church is “built upon the foundation of the apostles and prophets.” So, then the prophetic ministry is foundational to the Church. Satan understands the message of the Psalmist when he asks, “If the foundations be destroyed, what can the righteous do?” Psalm 11:3. Basically, Satan is saying to us… “Build the Church as high as you like, even a hundred stories high... but, if the foundation is destroyed, it is all going to come crashing down!” Satan has succeeded in blinding many hearts, and the foundations of many lives could be shaken severally in these Last Days. Why does God want us to understand the future…? Firstly, for our protection! In these days of tremendous chaos and upheaval, filled with violence we desperately need to understand what is coming (Proverbs 22:3). Secondly, for vision! In Proverbs 29:18 we learn another very important reason why God wants us to understand the end… “Where there is no vision people perish.” The word “vision” also means “revelation.” We need an understanding of our own immediate future in God …as well as what is coming to the world. Without such a vision we are perishing spiritually or growing cold! Lastly, in Genesis 18 God revealed one of His secrets to His friend, Abraham; “Sodom and Gomorrah will be destroyed the next day.” Upon learning of this future event, Abraham entered one of the greatest depths of intercession found anywhere in the Word of God. When the Lord grants a true revelation of what is coming, He also grants a true spiritual burden and a spirit of intercession NOT understood by others. Why do these beginnings and ends seem to be related? Is the Lord trying to show us something…? One of the most important keys to understand “the end” is to understand the relationship that exists between the beginning and end of all God’s works. Isn’t it amazing too, that the Lord had arranged the 66 Books of the Bible like chapters in a book…? 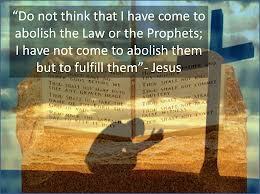 New believers in Yeshua (Jesus) want to go directly to the Book of Revelation. However, if we don’t start at Genesis the first chapter of the Bible, we probably won’t understand Revelation …which is the last chapter! The key to which we understand the first 65 books will be the degree to which we understand the last book. A comparison or revelation with the rest of the Bible reveals… that the Holy Spirit based the last book of the Bible on what He has written from the beginning onward. Revelation is a summary of all He has said before and therefore, in any study of the Last Days it is essential to compare the Book of Revelation with other books and passages of the Bible. Revelation 4:2, “And immediately I was in the spirit” and we see in Ezekiel 1:3, “and the hand of the Lord was upon him” (an Old Testament expression for being in the Spirit). Revelation 10:11, after eating the book, John is told that he must prophesy, to many …and in Ezekiel 3:4, 27 – after eating the book, Ezekiel, must speak the Word of God to others. The very first word Yeshua (Jesus) spoke to the Apostle John in the Book of Revelation seems to be a tremendous key to understanding the rest of the book and the message of the End… By nature, the Lord speaks no vain or idle words! The Lord seems to do the same in Revelation, where His very first statement is an extremely important key for understanding the book. He says that He is the “Beginning and the End,” Revelation 1:8. Just as John was about to receive a revelation of the end, Yeshua makes it clear that He is the End! For this reason, as Revelation 1:1 states, the Book of Revelation …is a Revelation of Christ, who is the End! Note that Yeshua (Jesus) did not say that He is simply in the end, or a part of the end… but He testifies that He is the End and that He is the Beginning. This is especially significant in light of the fact the He never changes. Hebrews 13:8 declares, “Jesus Christ is the same yesterday, today and forever.” Therefore the “Beginning and the End” MUST be the same! The Lord repeats this key thought six times in Revelation, showing how very important it is. To better understand the one who is the end, we can go to Genesis for a revelation of …the One who is the Beginning! Genesis is as much a revelation of the last days as the Book of Revelation itself. Both are a revelation of the person, nature, ministry, and ways of Christ. Genesis is a Revelation of Christ, the End… In Genesis the accounts of the lives and works of one man of faith after another are really a “Revelation” of Yeshua’ (Jesus’) life and works. 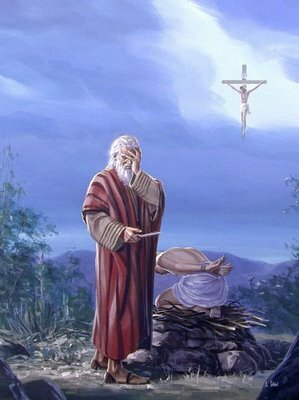 This “revelation” begins with Adam who is called, “son of God,” Luke 3:38 …Although Adam himself was not deceived into sinning through the lies of Satan, he chose, whether rebelliously or otherwise, to be identified with his wife, Eve, in her sin and to experience the death that she had been overtaken by. Did not our Lord do the same for His Bride? “For He made Himself who knew no sin, to be sin, for us, that we might become the righteousness of God in Him,” 2 Corinthians 5:21. It is understandable why Paul said Adam was a fore-shadow of Christ (Romans 5:14). Then came Abel… who not only offered a lamb on the altar as a symbol of “the Lamb” slain from the foundation of the earth, but who in one sense himself became a lamb when wicked Cain, his own brother, arose and murdered him. Hebrews 12:24 …compared the shedding of Abel’s blood with the shedding of Christ’s blood. We can also see Yeshua (Jesus) in Noah… the one who built the ark of safety, in which his whole family was saved from destruction (Genesis 6:18). His father Lamech said that Noah “would bring men into rest.” It is Yeshua (Jesus) who has built an ark of safety for His Bride and Children, and who brings us into spiritual rest (Luke 17:26-27). We see Yeshua (Jesus) in Isaac…. the one who was offered on the altar by his own father (Genesis 22:2). We see Christ in Jacob… the one who tended sheep in order to obtain a wife (Hosea 12:12). This is what our "Good Shepherd" is doing today to gain a Bride…the Church. Finally we see Yeshua (Jesus) in Joseph… the one who went down into the suffering of Egypt (Genesis 37:28) and paid the price so that he could save his own brothers from death. Joseph suffered many things so that he could one day be able to feed …the very brethren who had sold him for twenty pieces of silver! After his suffering he was exulted to ruler over all the land of Egypt (Genesis 41:43). Yeshua, too, went down into Egypt at the beginning of His life to escape from Herod, and then went down again at the end of His life when He was crucified in "spiritual Egypt" (Revelation 11:8). He was sold for thirty pieces of silver and suffered so that His brethren could be saved from death by partaking from the "Bread of Life." Like Joseph Yeshua (Jesus) too, has extended to the Throne, and He will govern this world forever! Genesis is a Revelation of the Last Days… not only is Yeshua (Jesus) seen in the men of Genesis but the events of Genesis found in man’s beginnings reveals the end. The word "Genesis" actually means in Hebrew "the beginnings." Ancient manuscripts divided the Book of Genesis into 10 sections where each began with "these are the beginnings." Since God’s beginnings and ends are related, each of these 10 sections is a tremendous revelation of the End Times and the Book of Revelation. The words "these are the beginnings" first appear in Genesis 2:4 in ancient manuscripts. These words are translated as "these are the generations" in the King James Version of the Bible. Genesis 2:4 – 5:1 contains many details that are also revealed in Revelation. First, a new heaven and a new earth are seen in Genesis 2 and as well as in Revelation 21:1-6. In Genesis 2:7, man comes forth from the dust of the earth, and the same will happen in the end, at the Resurrection (Compare Daniel 12:2 and Revelation 20:6). Also, in Genesis 2:8 God plants the garden. From that garden flows the river of life, and the tree of life is found there (Genesis 2:9-10). Revelation 22:1-2 also reveals a garden with a river of life and a tree of life. In Genesis 2:18-25 we find the first marriage between a man and a woman, and in Revelation 19:7; 21:9; 22:17 we find the last marriage between a man and a woman. In 1 Corinthians 15:45-49 we are even told that the heavenly Bridegroom of the Book of Revelation is the last Adam, linking Him to the Adam found in Genesis. Genesis 3 introduces the serpent and the deceiver… God then promises that the "seed of the woman" will bruise the head of the serpent. In Revelations 13:14 that same deceiver is at work as he deceives …"them that dwell on the earth." In Revelation 12:1-11 a woman gives birth to a child (her seed) who crushes the head of the "old serpent." In Genesis 3:21 the Lord gave man clothing or a covering. And, in Revelation 19:8 God gives a covering; "And to her was granted that she should be arrayed in fine linen, clean and white." Genesis 1:1; ‘Heaven and Earth’ Created and in Revelation 21:1; ‘Heaven and Earth’ passed away. Genesis and Revelation confirm Scripture in… Matthew 24: 37 "…as it was in the ‘days of Noah’ so shall the coming of the Son of man be. Solomon the man to whom God granted great wisdom gives us further understanding of this same truth in Ecclesiastes 1:9-10 where he says… "The thing that has been it is that which shall be; and that which is done is that which shall be done… and there is no new thing under the sun. Is there anything whereof it may be said, see, this is new? It has been already of old time, which was before us." Therefore, true doctrine concerning the end will not contain anything that cannot be found in the beginning also! Solomon assures us that we will NEVER be able to say "there is something new under the sun!" Everything that happens in the end in the Book of Revelation is something that happened in the beginning. There is nothing new! Some might bring to mind the Rapture and affirm, "Surely that will be new?" But, Enoch experienced that in the beginning (Genesis 5:24). The prophets and wise men understood this truth. The prophet Isaiah reveals that the "Beginning" is the key to the "End"… In Isaiah 49:9-10 he tells us, "remember the former things of old: for I am God… and there is none like Me …declaring the End from the Beginning." Since the world began, God has been revealing Himself to humanity through the men of faith and the events surrounding their lives. Isaiah confirms that …what the Lord reveals about Himself in the beginning will be revealed in the End! In light of the Lord’s declaration that He is the "Beginning and the End," the saying; "history repeats itself" becomes clear... "History" is really "His-Story." His sovereignty controls the events that occur on the face of this earth. However, "His-Story" always begins and ends in the same way just as happened with the life and ministry of Yeshua (Jesus). This is also true regarding any event of history, whether it be a work of blessing or a work of judgement. Would it be logical to attribute this all to a mere co-incidence? Or, is this an example of an intimate relationship that exists between the "Beginning and End" of "His-Story?" A story that He sovereignly controls on the earth…? Most surely history is controlled by the one who declares Himself to be …"The Beginning and The End," and through the events of history the Lord reveals Himself to man. For this reason, history repeats itself, whether it is modern or ancient, because He never changes and… because man needs the same answers and help. One of the parables that God has given to man ... the greatest and longest and most profound story found in the Bible ... is the story of Israel! In this case it is a true story NOT fiction, as some foolishly believe today. In what we believe to be one of the most important verses in the New Testament, the apostle Paul tells us that the events in Israel’s Old Testament history are examples to teach those of us who belong to the "spiritual nation" in the New Testament Age. Concerning events, in the Old Testament of Israel, we are told that... "Now all these things happened to them as examples, and that they were written for our admonition, upon which the Ends of the Ages have come." 1 Corinthians 10:11. It is important to have an awareness of the fact that Israel… was and today still is essential for properly interpreting many New Testament passages. Therefore, Israel and her history have spiritual lessons or meanings for all New Testament believers and history (His-Story) will indeed repeat itself in the New Testament Age until the End. The Biblical term "law" does not only refer to the first five Books of the Bible, known as the "law of Moses." It refers to the whole Bible which in Yeshua's (Jesus) day was the entire Old Testament. Even the "Jots and Tittles" of the Old Testament will have a fulfilment… Matthew 5:18; "For truly I say to you, Till the heaven and the earth pass away, not one jot or one tittle shall in any way pass from the Law until all is fulfilled." By making the nation of Israel a "natural people" first in the Old Testament and then, later a "spiritual people" in the New Testament God revealed the divine order for every individual believer. We are first born as a "natural" earthly man, and then, as the Life of Christ begins to form in us at our "second (new) birth" we become a spiritual heavenly man. God is the God of the "beginning and the end" ...so why should He exclude the Jewish people and Israel in the End-Time prophecy? Israel is mentioned in Revelation 7:4 and 21:12. It all began in Israel and it will all eventually end in Israel. The Bible shows many similarities between the birth, life and ministry of Moses… and the birth, life and ministry of Christ. After Moses had begun the Old Testament Age by giving God’s people the law, a tabernacle, an altar, a priesthood, and sacrifices, He then gave Israel a living hope. The hope was that another, even greater, divine visitation, would be granted to them with the coming of a Prophet who would be greater than Moses. Many in Israel understood that this greater Prophet would be the Messiah Himself. The faithful in Israel waited expectedly for about 1,500 years, and He finally came! We know from Job and other Old Testament Scriptures that the saints who lived before the cross were not only expecting the coming of their Messiah but they were also expecting a Resurrection. We expectantly hope for these same things also in the Church today! Many see that the same series of events are happening again in this present Age. We have the same hopes and expectations… The Book of Hebrews reveals that our Law-giver Yeshua (Jesus) came and gave us the same things that Moses gave to Israel as well as a hope in the Messiah's Coming. But, the things that Yeshua (Jesus) gave were better. He gave us… ‘a better Law,’ ‘a better Tabernacle,’ ‘a better Altar,’ ‘a better Priesthood’ and ‘a better Sacrifice’… Himself! 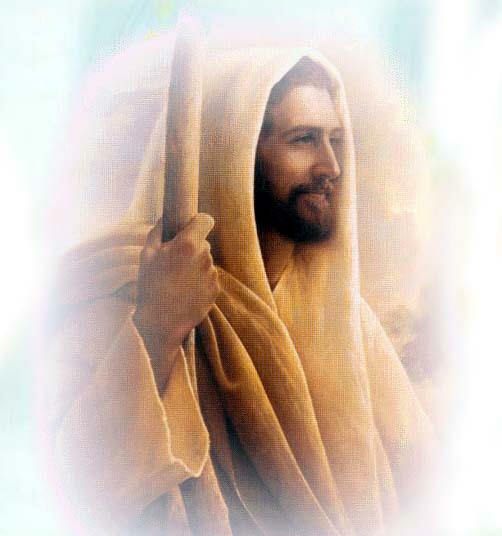 Afterward He also gave us a better hope that He would visit His people again in the Second Coming. Just like the saints that lived before the First Coming we are waiting patiently for His Second coming... As a result of His visitation and the events of the end, we are expecting what happened at the end of their Age will happen at the end of ours also, a resurrection and Rapture into heaven. Birth is the end of life in the womb, but, at the same time, it is the beginning of life on the earth... Death is the end of earthly life… but for Christians it is also the beginning of one’s "heavenly life!" The very instant one day ends a new day begins. The instant the old year ends, the New Year begins. That instant in time is both an "end" and a "beginning." Life teaches us that "ends" can also be "beginnings" and that "beginnings" can be "ends." This interesting aspect of reality was revealed in Christ’s coming as well. His First Coming was the focal point of two extremely historical events …the End of the Old Testament Age and the Beginning of the New Testament Age. At His coming, He was revealing …both a beginning and an end at the same time. He was revealing Himself at the Beginning and the End, just as He would later declare Himself to be in Revelation 1:8, "I am the Alpha (Aleph) and Omega (Tav), the Beginning and the Ending, says the Lord, who is and who was and who is to come, the Almighty." These facts bring us to an important observation …that both the end of one Age and the beginning of another were comprised of the same event. In other words, the very acts that He was performing to end the Old Testament Age were the acts with which He was beginning the New Testament Age. To some this may seem complicated, and to others, it may seem foolish and even self evident! The Old Testament Age began and ended with the birth of a "deliverer" (Moses) and many other related events. Therefore, we should fully expect our Age, to begin and end with the birth of a "deliverer" (Yeshua-Jesus) and other related events similar to the Old Testament Age. 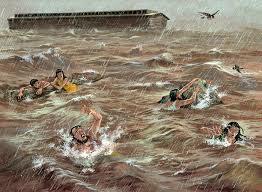 In the beginning of the Book Exodus the Old Testament also began with the slaughter of infants. However the heartbreaking scene of a cruel king destroying little lives and was repeated at the end of the Old Testament Age… with the birth of Yeshua (Jesus), Herod, having heard that the "deliverer" was born ordered all the babies of Bethlehem to be killed but the Lord once again protected His "Deliverer" by directing Joseph and Mary with divine wisdom, and they took the baby to Egypt to save Him. Note that both "deliverer’s" Moses and Yeshua (Jesus) were saved from death while in Egypt. It is this same "Deliverer" Yeshua that is going to come back and deliver His people as we see in the Book of Revelation which is the Revelation of our Lord. Prophecies are history written in advance, and they can only occur through divine revelation… They are written in such a way that they can only be fully understood after they have been fulfilled. Only then can they be looked back on to appreciate the incredible precision of their fulfilment. Consider the number of prophecies foreshadowed by another, sometimes hundreds or thousands of years apart, where the lesser pointed to the greater …but sometimes more evil, future event. The Palestinian, Arab, Iran conflict against Israel is a continuation of the Isaac-Ishmael disagreement going back to time of Genesis. Except for a very few allies, Israel and Jews are the worldwide target of hate. And who is the author of hate? Satan will lead men to attempt to destroy Israel in Jerusalem from where the Messiah came and will return. There will be no peace in the Middle East until His return! If Israel were to grant the Palestinian authority control over Jerusalem through a negotiated peace settlement, the USA, UN and the world will be delighted! On the other hand, if the Palestinians succeed in taking Jerusalem by force while Israel is being attacked by others …NO ONE would ever ask them to give the City back to Israel. How do we know? The prevailing attitude in the international community at the moment is that anyone has the legitimate right to rule over Jerusalem …except Israel, who is the divinely appointed owners. The attitude of the world’s nations regarding Jerusalem is an undisputable sign that we are in the last days. Zechariah 12:3-9 reveals Jerusalem’s importance. Regardless of how much land Israel gives to the Palestinian Authority, Mahmoud Abbas, has openly declared that he will NEVER call a halt to his holy war until he has control of Jerusalem. The battle lines have been drawn, and we know who will win the final conflict…! The Lord of Glory will descend upon the Mount of Olives in Jerusalem, and He will take possession of His Holy City and establish His Throne there! There is one detail that Abbas has NOT yet been capable of grasping and will soon learn that the God of the Universe has given ALL the Promised Land to Israel. Like Lot, Abbas wants to take the best part for himself, and like Lot, he will end in total ruin! With all these current events happening in Israel and the Middle East, how can anyone who loves Israel say that nothing is happening? It all has been written for us thousands of years ago in God’s Holy Word …The Bible! God’s Word is true! He IS watching to see how the nations are treating His people. God will have mercy on Israel through Gentile believers acting as mediators towards them… This is one of the most amazing revelations ever given to the church – an opportunity to do something that carries the highest priority in the heart of God. Yet… sadly, so few have seen the potential and the rewards of serving God in this manner, as agents of mercy to Israel and the Jewish people! Israel was and still is despised today… and a despisable nation continually turning away from God but nothing ever altered the purpose of God for that nation. The despised element is always a noticeable element in the purpose of God. When the Saviour of the world came, He came of that despised nation; like Israel… He Himself was "despised and rejected by men," …and there is that despised element, "things that are despised God has chosen," 1 Corinthians 1:28. Now… more than at any time is the time to support Israel and the Jewish people… the Lord’s Brethren! One of the reasons Israel did not understand or accept the coming of Christ the first time is that they did not perceive that He would come in more than one stage. 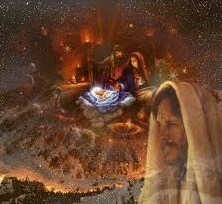 First, His coming was announced by the angels at His birth in Bethlehem when they said that the Messiah had come that night (Luke 2:8-14). Then He was revealed in the temple at the age of twelve (Luke 2:46). Later, He was revealed as the "Christ" at the baptism of John (John 1:29-34). Finally, after He was crucified, He came back to His people again as the "glorified Christ," (Acts 1:3). At the end of the Old Testament Age, most of Israel did not foresee any of these stages, and this was one reason why they had missed Him altogether. Is it possible that we are making a similar mistake at the end of our New Testament Age? Will this tragic aspect of history repeat itself also? 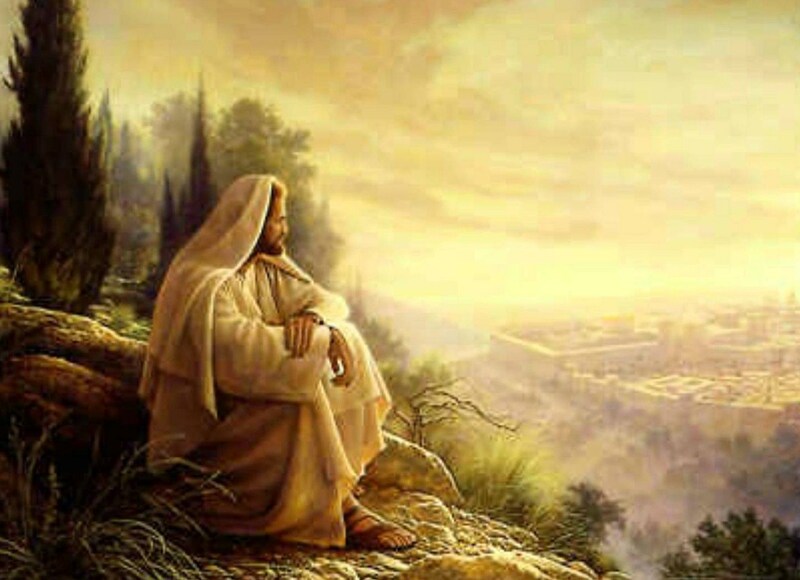 Yeshua (Jesus) spoke an extremely difficult riddle to His Disciples in John 16:16-24; "A little while and you will not see Me; and again a little while, and you will see Me, because I go to the Father. Then His disciples said to one another, what is this that He says to us, a little while and you will not see Me, and again a little and you will see Me? And, because I go to the Father? Therefore they said, what is this that He says a little while? We do not know what He is saying!" This riddle was related to the "travail" and "birth" of Revelation 12. It reveals that Christ will come and be revealed again in the last days, first through a "spiritual birth in the Church," before He comes "physically" at the Second Coming. The first part of this statement was quite easy for them to understand; in a short time they were no longer going to see Him. They understood that part only to well, because He had just told them that He was going away and returning to the Father (John 16:5-6). It was the second part of the riddle that did not make sense. If He had said; "And again, a little while, and you shall see Me because I come." They would have understood have understood this perfectly and that they were going to see Him again, after a little while because He would return for them. However, He didn’t say that they would see Him again in a little while because He would come rather He said; "And, again a little while, and you shall see be because I go (John 16:16). There is one thing of which we can be very sure. The end will NOT come until this concern grips the "heart and soul" of His people.